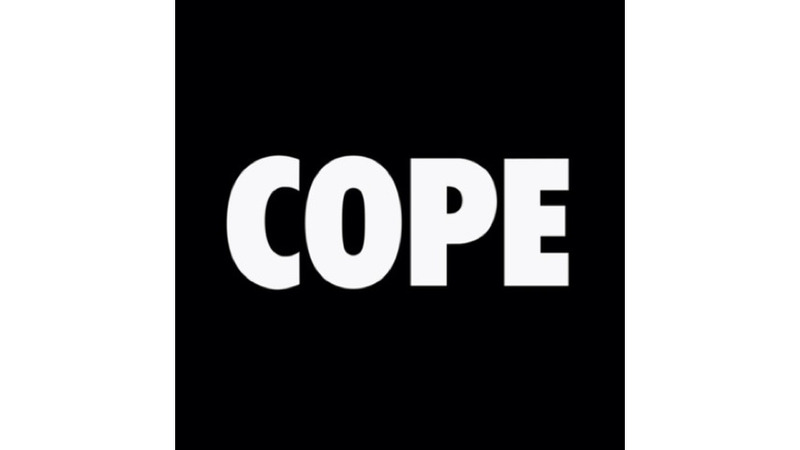 Manchester Orchestra are no stranger to labels like “heavy” and “loud,” but their fourth album, Cope, is something else on another level. It’s difficult to argue that Manchester haven’t continuously evolved their sound since their 2006 debut album, Like A Virgin Losing A Child. While they’ve maintained core attributes throughout their career, each album has been different enough to cause some to question their ability to find an identity and others to embrace them as a creative force playing to their inspirations. Soaring guitars, intricate melodies and Andy Hull’s often-cryptic yet relatable and introspective lyrics have been ever-present, and Cope is no exception. When I’ve gone back to their albums, such as Mean Everything To Nothing, I’m held at attention by everything mentioned above, but perhaps even more so by the dynamics. Now that’s not to say that Cope is entirely devoid of those quiet moments, but they are certainly minimized and mostly maintained by a chugging palm-muted verse before exploding into the chorus. This isn’t accidental—Hull has been quoted as saying “Our mission statement was to make a crazy-loud rock record. Something that’s just brutal and pounding you over the head with every track, something unrelenting and unapologetic.” Well, I think they did it. Unfortunately, some of the songs fall into similar and seemingly simple forms that can cause the lines between tracks to blur, especially in the time it takes for their nuances to reveal themselves. If the goal was to deliver a loud rock record, then they’ve accomplished it and managed to do it in a way that feels and sounds natural for Manchester Orchestra. We’ve heard them get heavy before on songs like “April Fool” and “Shake It Out,” but those tracks stand out largely due to the contrast between them and the rest of the albums that they appear on. What Cope is missing are the deep valleys to its peaks. There isn’t anything like “I Can Feel A Hot One” to be found here. Perhaps the only reason those softer moments are missed is because Manchester has used them so perfectly in the past to create musical roller coasters that it’s difficult to see them all but abandon those drastic dynamics. Thankfully, there’s plenty of material to go back to if that’s what you’re looking for. After all, Cope is about being loud. Cope also sees Manchester turning in their shortest album to date at 38 minutes. All of the songs come in under four minutes except for one that barely crosses that line. The songs are fast and short; the energy throughout the album is infectious and continuous—which helps to not overwhelm with its cranked-to-11 setting and should have most eager and willing to keep coming back. Hull’s vocal melodies do more than their share of the heavy lifting as he’s learned to wield them powerfully as some of the most distinguishable parts of each song. He uses his ability to write catchy lyrics that beg to be sung along to and keeps it lyrically brief as he paints pictures of frustration, doubt, honesty, letting go and learning to cope. Their meanings aren’t always entirely clear and often read like personal letters directed at specific people, but they always allow listeners to ascribe their own interpretations. I find it impossible to name a bad song on the record, making the task of choosing favorites just as difficult. I found myself drawn more to the back half of the record as time went on. “Every Stone,” “All That I Really Wanted” and “Trees” are among my favorites, but there are eight other tracks to hear. “See It Again” should make its way to the top. I must admit that I had been anticipating this album for a while. Once I received my promo copy, I sat on the floor of a roommate’s bedroom as three of us sat around listening. It was thrilling and not at all what we’d been expecting, and we came away with somewhat similar responses (most of which I’ve already expounded upon), but one of the most repeated was that we needed to listen to it again immediately. If you find yourself missing those dynamics, much like I do, just remember: this is supposed to be loud, so just turn it up and listen to those guitars.